Ankit is a Bachelors in commerce from Delhi University and a fellow member of Institute of Chartered Accountants of India, New Delhi. He is also certified in IFRS and Forensic Accounting and Fraud Detection. He is the co-founder of the firm. 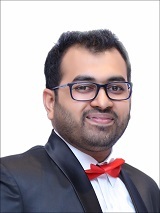 Prior to being associated with AJSH, Ankit worked with the Big 4 Accounting Firms (Pricewaterhouse Coopers India and Canada) and MNCs (American Express, India and Japan). 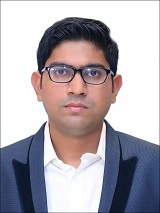 Ankit carries extensive professional experience in various fields of financial advisory including tax and regulatory advisory, transactions advisory, valuations, inbound and outbound investment structuring, accountancy, audit and assurance. His extensive public accounting experience spans for more than 18 years. 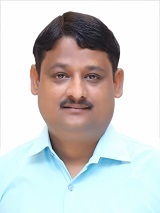 He has been a member of Technical Committee of ICAI for updating the existing Accounting Standards on the basis of corresponding Indian Accounting standard. Facilitation in Setting up business in India. 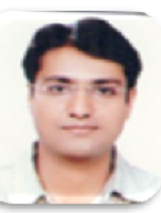 In addition to above, Ankit is a USGAAP and IFRS expert and has also assisted clients in SEC and SEBI filings. Siddhartha is a Bachelors in commerce from Delhi University and a fellow member of Institute of Chartered Accountants of India, New Delhi. He is also certified in accounting software like QuickBooks, Xero, FreshBooks, Wave, ZohoBooks . He is the co-founder of the firm. Prior to being associated with AJSH, Siddhartha worked with Big 4 Accounting Firms (Pricewaterhouse Coopers India and Grand Thorntan, India) and MNCs (American Express, India). 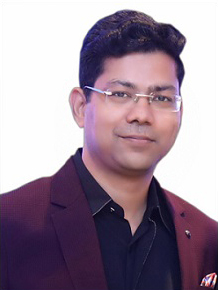 Siddhartha carries extensive professional experience in drawing business plans, outsourcing financial and accounting processes, viability studies, valuations and due-diligence. He leads the international accounting practice of the firm. He has more than 17 years of work experience. 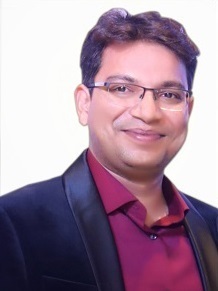 He is a Six Sigma Green Belt certified and has accredited various certificates from all his previous employers for his invaluable contribution to the business processes. He also mentors his teammates by conducting trainings for Accounting Standards, USGAAP and IFRS convergence, deferred taxation, impairment of assets and other technical matters. Valuations of tangibles and intangibles. In addition to above, Siddhartha has also provided assistance to corporates in Merger and Acquisitions of companies from value consolidation perspective. Manvi is a qualified Chartered Accountant from Institute of Chartered Accountants of India and a Masters in commerce from Delhi University. She is engaged in variety of assignments with various clients from telecom, manufacturing, trading and real estate industries from US, UK and Australia. 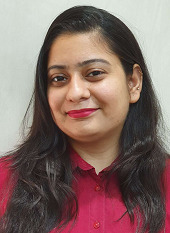 With the total work experience of 11 years, Manvi leads the team of Taxation and Financial Accounting in the firm. Chandramani is a qualified Chartered Accountant from Institute of Chartered Accountants of India and is also a Bachelors in commerce. He has been involved with several assignments relating to Internal Audit, Taxation and Management Support Services to clients from telecom and manufacturing industries from India, US and Australia. He has more than 8 years of work experience. Gautam is a qualified Chartered Accountant from Institute of Chartered Accountants of India. He has 17 years of work experience and was a part of Big 4 Accounting Firm. He has worked as the Financial Controller with 6+years of cross-functional expertise in Accounting, Budgeting, Management Reporting, Statutory Reporting, Regulatory Compliance, Working Capital Management, Taxation, Statutory and Tax Audit. 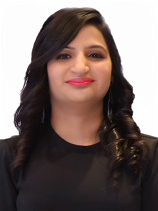 Mehak is a qualified Chartered Accountant from Institute of Chartered Accountants of India and a Bachelors in commerce. She has been involved with several assignments relating to Statutory Audit, Tax Audit, Direct and Indirect Taxation. With the total work experience of 10 years, Mehak handles ROC/ tax compliances and tax planning for the domestic clients of the firm. She has assisted various clients in their business setups including company incorporations & registrations in India. Rajeev is a qualified Chartered Accountant from Institute of Chartered Accountants of India and also a Company Secretary (Exe). With his 12 years of work experience, he leads the team for accounting and taxation for domestic and international clients. He handles planning, reporting, and liaison with client in connection to the International Accounting. He is also certified in Quick Books and Intermediate Financial Module. Yitesh is a Certified Accountant, ACCA (The Association of Chartered Certified Accountants) from BPP University College, London. Along with a advance diploma in CIMA from London School of Business and Finance, London. He also holds a degree in Sustainable Performance Management from Manchester Metropolitan University, Manchester. He is also certified in Quick Books, Intermediate Financial Module , Business and Language. He handles a team responsible for managing the clients from real estate, manufacturing and e-commerce.